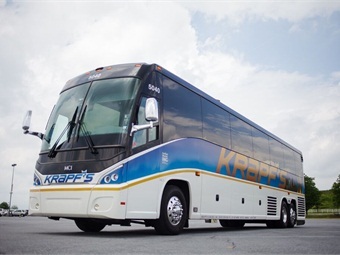 With the economic issues of a few years ago getting dimmer and the business outlook brightening, at least anecdotally, the motorcoach industry is once again poised for growth and focused on areas to help fuel that growth, including tapping the very large millennial and Baby Boomer markets. 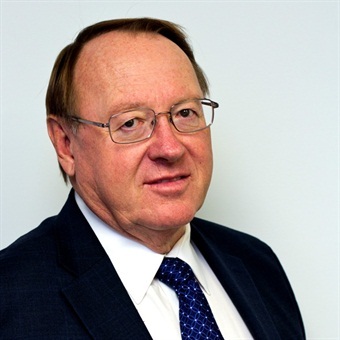 METRO spoke to successful operators from the four major regions of the country about new initiatives they have recently implemented, what the industry’s biggest challenges are, both regionally and nationally, and what kind of success they are having attracting people from the two largest generational sectors. What new initiatives has your operation undertaken that are proving to be successful? About five years ago, we split our sales and operations department, which allowed us to become more efficient in both areas. Being a multi-location company in Florida brings challenges in identifying where to have equipment and when. Since our locations share equipment from time-to-time, depending on sales opportunities, we further broke down our operations department and regionalized dispatching and driver relations. 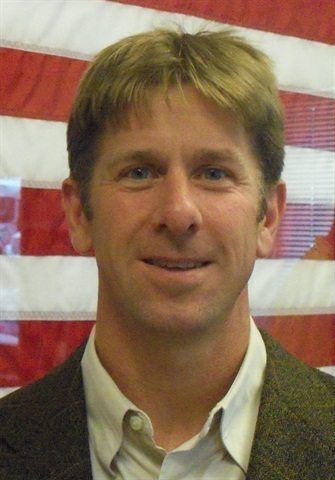 This was done to improve efficiencies when covering a state as geographically large as Florida as well as the relationships and morale between dispatchers and drivers. Today, we are seeing the benefits of those changes as empty miles have been reduced substantially allowing us to push that savings straight to our bottomline. Along with these procedural changes, our customers are enjoying one of the most amenity rich fleets in the country, with every coach having 110-volt outlets, Wi-Fi, and, one of the coolest features, live mapping provided directly to the customer for their trip when they charter an Annett coach. Also, many coaches offer satellite television and leather seating. In the Florida heat and humidity it is important to eliminate as much carpet fabric in the coaches as possible. Our recently opened in-house refurbishment center is currently working through our fleet to do just that, the only non-smooth surface in the coach is the area above the passengers head next to the windows. All other carpeted surfaces in the coach have been replaced with vinyl, leather, laminate or stainless steel. This procedure keeps our coaches smelling fresh and looking very modern. The days of loud, flashy bus upholstery is well in our rear view mirror. 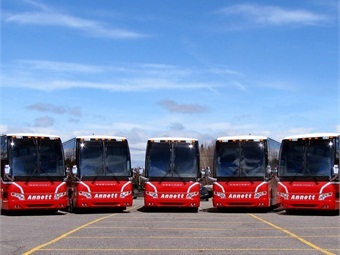 The fleet updates coincide with our goal to provide our customer a branded look, where our entire fleet, from the newest to the oldest bus, looks the same with the same amenities and creature comforts they have come to expect with Annett Bus Lines. Couple those things with a preventative maintenance program that has been formed from 40 years in the business and you get a fleet that provides the customer with a dependable, safe and pretty darn comfortable ride anywhere in the country. From a national perspective, what are some of the biggest issues the industry is up against? Nationally, our problem is new entrants. We feel the new entrant barrier is mainly due to the hostile environment in which a motorcoach company operates today. While fewer new entrants is a good thing in the short term for companies like ours, the long-term outlook is not so good. Fewer operators in the marketplace means less competition on the supplier side. Bus costs will go up, insurance costs will go up, every cost associated with a shrinking industry will increase, and we are afraid it could increase to a point where we cannot be competitive with the family car. My big question to our friends in Washington, D.C., is ‘why are you eliminating the very mode of transport that could transform the country and the way we move about?’ By limiting new entrants, they are potentially eliminating the Google of transportation from happening in the country. Regardless of what Al Gore says, he did not create the Internet, and neither did the government. Just the same, the government will not fix our transportation problem, the private sector will, so they have to delaying new entrants into this industry. We really do need to get some new folks into the business. Today, we seem to be back in the regulatory days of the 1970s. Discuss how you, or the industry in general, can help grow the Baby Boomer and Millennial markets? The population numbers in those generations suggest there is opportunity there; however, thus far they have not proven to be coach riders. Baby boomers are very independent. Millennials are a real opportunity, but they are also a group who demands convenience, and bus travel today is far from convenient. While the Northeast has seen some good ridership of regular route bus runs, the rest of the country remains fairly stagnant. Annett Bus Lines talks to these groups through social media. Both are plugged into social media, so we try to make traveling by bus as attractive as possible while posting to Facebook, Instagram, Pintrest and Twitter. We post weekly and regularly when we have large events or exciting news. Baby Boomers, just by their numbers should be a great market for tourism. I don’t know to what extent they will be acceptable of over the road type bus tours. I do think they will accept local touring by bus, when visiting the countries’ tourism hot spots. If a company happens to be local to one of those hotspots they could see a bump in utilization, but overall, baby boomers will remain independent and are savvy travelers that use the internet well. As for millennials, well we will just have to wait and see where they end up. One of the most recent things we’ve done here in the Midwest is launched Arrow Stage Lines Executive Edition. There is a decent amount of Fortune 500 companies here in Omaha, so we added some Mercedes-Benz Sprinter Vans, all blacked out with leather seats, which are a really nice option for businesspeople that may need transportation to and from the office once they are in town. We just launched in the middle of August, and we are already starting to see really good feedback from that. We also launched Arrow Connect, which is a Wi-Fi option with a unique landing page that allows customers easy, one-touch access to a variety of different media, including social media, news, stocks, shopping, entertainment news, stocks, games, sporting news and more. We would like to eventually grow Arrow Connect so that passengers can pull out their smartphones, tablets, or computers and connect to a media server where they would have instant entertainment individualized to them, including movies, music and live TV. We see that as the future of Arrow Connect. What we are offering now has been very well received, but I’m really excited about what the future holds. Millennials and Baby Boomers are proving to be vital markets for the industry, are you having success reaching these two groups? We’ve seen a lot of success. We have our charter side, which is groups, athletics, business, corporate work and those types of things, where we have noticed a lot of the younger generation coming in, so what we’re doing on the marketing side seems to really be attracting them. We also run a schedule business, Black Hill Stage Lines, which we’re currently rebranding to make it more relevant for our current customer base. We are really seeing a lot of millennials choosing to travel by bus, so we want to take that product, rebrand and make it into something that they will be excited about using. We’re hoping to get that done by the end of this year. What is your operation’s biggest issue? One challenge we really faced earlier in the year was a driver shortage. We have certain standards when we hire drivers, and for whatever it is worth, we were having a hard time finding a bunch of new drivers to bring into the mix to help fill our growth. That being said, I was really impressed with our team and what they did. We did some open houses, as well as launched a huge marketing campaign called ‘Drive Your Career,’ which worked. We’re always recruiting and looking for people, but finding drivers was certainly an issue earlier in the year. Fortunately, though, we were able to re-up and find some good people through some really creative thinking. What is the outlook for your operation in the next five years? We are very customer focused and want to be elite at what we do. We have an on-time guarantee, because we understand the importance of being on time for every job we are operating and build so much around that in terms of metrics and how we operate. We also want to be the safest company in the country when it comes to motorcoach transportation, so there are so many things we’re doing behind that. We’ve made driver training longer. We do module training quarterly with everyone one of our drivers and our retraining program is very good and helpful to our drivers. That is just one piece of our safety, but it’s overall a major piece of what we do. We also like our equipment and the maintenance of our vehicles to be absolutely elite in every way. 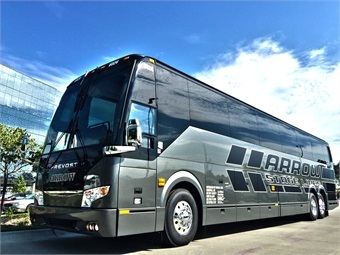 We just took delivery of 12 new vehicles, and they are like no other coach on the road. We went to a different seat manufacturer, Kiel Seats, which are incredible and create more legroom — which was a huge request from our customers. We really just want to be that elite motorcoach transportation company. One of our taglines is that we want people to ‘experience the journey.’ That journey starts when the customer first comes in the door and lasts throughout the entire trip, so the trip is as enjoyable as the destination. We are definitely in growth mode. We don’t want to grow too fast that we’d lose what we do, and do really well, but we have very aggressive plans for growth and what that looks like long term. 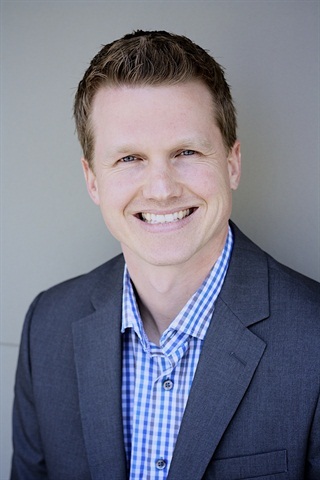 Just this year, we acquired two companies — one in Fort Collins, Colo., and one in Mesquite, Nev. — so we are definitely on the hunt to find the right fits for our company. We aren’t going to be stagnant; we want to continue to perfect what we do and take those talents and skills into new markets so we continue to grow in the next five or 10 years. The 2002 Olympic Games helped put us in the middle of the map, internationally, so that’s created a lot of activity for the tourism part of our product, which represents a pretty substantial part of our gross revenues. Of course, we’re involved in athletics, college, conventions, and casino runs, but our proximity to national and state parks has us pretty well positioned to be busy May through the middle of October. Meanwhile, the winter months are filled with a lot of ski group activity. We have a lot of contracts with schools that do transportation for their students to the ski resorts for ski lessons, so we’re pretty blessed to be part of both worlds. What issues do you experience that are specific to your region? In our region, we are experiencing a tourism boom, especially international tourism, has created a driver shortage. Unemployment is less than three percent in Utah, so there just aren’t qualified people looking for jobs. We’ve known this for years, so we have really focused on taking care of our people, by getting them all the training we can and embracing them, because that’s our future — our people. How are you reaching out to attract new drivers? We have a policy that our applicants have a couple years of preferably motorcoach experience, or at least commercial driving somewhere, so we’ve taken drivers that have come off commercial jobs, even those who have held truck delivery positions, and developed them. Once people get into the bus industry and enjoy the people that they transport, it’s very rewarding. Once you get that built into them, they understand the whole program and get better and better at what they do, which results in better gratuities and the like. What is one of your operation’s biggest challenges right now? As manufacturers are trying to find new ways to develop products that will cost them less to build, we are experiencing an increase in part failures. To solve this issue, we started our own research and development program to look at parts that fail and at what mileage they are failing, and then replacing those parts before they fail. Things like keeping up with EPA standards have caused issues that I don’t think were fully tested by the manufacturers, so they are finding out more and more that they have to put a better quality product on the road because it’s killing the operators. It’s especially a problem if we’re a 1,000 miles from home and have issues… it can get really costly. To remedy the problem, we set up a parts program, where we send a whole box of parts that we know aren’t normally stocked to one of our preferred maintenance shops throughout our 1,000 mile radius. We also put a small warehouse of parts on every motorcoach that is set to travel long distances. We know we’re not going to be able to find an alternator anywhere, so we’re carrying an extra alternator, extra belts… we probably carry more than 2,000 dollars of parts on every coach that travels more than 500 miles away from our main operations depot, because we can find help to fix something, but finding the parts is a whole different issue. We have added a good presence in the Center City part of Philadelphia in the last couple of years, where we’ve recently gotten two fairly high profile shuttles. One is the Philadelphia Navy Yard shuttle system, which is operated by five, full-size transit buses. The ridership on that service has been unbelievable. A couple of big players over there include Urban Outfitters and GlaxoSmithKlein. The service has had to cater to the younger crowd, especially with Urban Outfitters’ presence, so our vehicles have bike racks, Wi-Fi and a GPS-generated app that provides real-time bus information. Even more recently, we took over operation of the Philadelphia Phlash, which is a tourism service that we operate with seven New Flyer MiDis we purchased through ABC Companies. It is a high-profile service, where we’ve upgraded the equipment from the previous provider and doubled ridership in the first year-and-a-half. What has been key to securing those types of contracts? We bought the rights to a fixed-route service in the early 90s that was dying. We immediately invested in new equipment and did some common sense stuff, such as put bus signs up, printed up-to-date schedules, and most importantly, maintained the printed schedule. Through that process, we started building relationships throughout the communities we were working with. To build the fixed-route service, we had to get the buy-in from the boroughs and townships to do things like get bus shelters installed, so we had to initiate those conversations. Also, Pennsylvania has Transportation Managements Associations in each of its suburban counties. These organizations facilitate mobility options, including ridesharing, road projects, bicycling and telecommuting, so forming relationships with these groups helped grow our outreach. We got in with the Southeastern Pennsylvania Transportation Authority, which got us closer to the Philadelphia crowd, and ultimately, the Navy Yard and Philadelphia Phlash contracts. There were formal RFP processes that we went through to get those jobs, but our operation was getting recommendations before the bidding even began by working with some of the engineering firms that were reconstructing the Navy Yard, for example. That work really helped us understand what they wanted and position ourselves to be able to get the equipment and the amenities necessary in a timely manner… I can’t put my finger on any one thing, but it’s a combination of a lot of time and earning a lot of respect and trust from many different entities. The market has been better the last year or two. I certainly hope to be in a better place with the charter side of our business in five years. 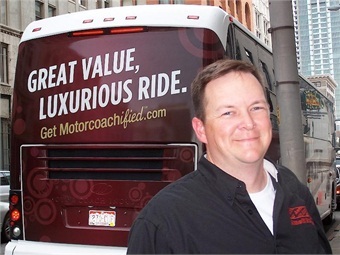 We’ve experienced a lot of downsizing, or I’d argue rightsizing, of our motorcoach fleet and getting it to the age and quality level we would like. We also have a plan to grow our fleet from profits from the charter side more sustainably, as opposed to some of the quick growth we may have had in the ‘90s that wasn’t so well thought out, which for the most part caused us to retract a bit in that area. Related: Are Increased Roadside Motorcoach Inspections Missing the Point? The outlook is better. It’s not perfect. If we can navigate some of these landmines and get the right relationships with the right customers, we will be able to grow and renew business to fill the gaps. It’s all about forging the right relationships. Another thing our market, and really our region, desperately fights is seasonality. We have horrible gaps in our market at times. We have to improve upon that, if we’re going to get more like regions that are viewed as destinations, which generate a lot more regular activity, as opposed to just spring and fall. That is a challenge for this region, but we’re doing a little better.